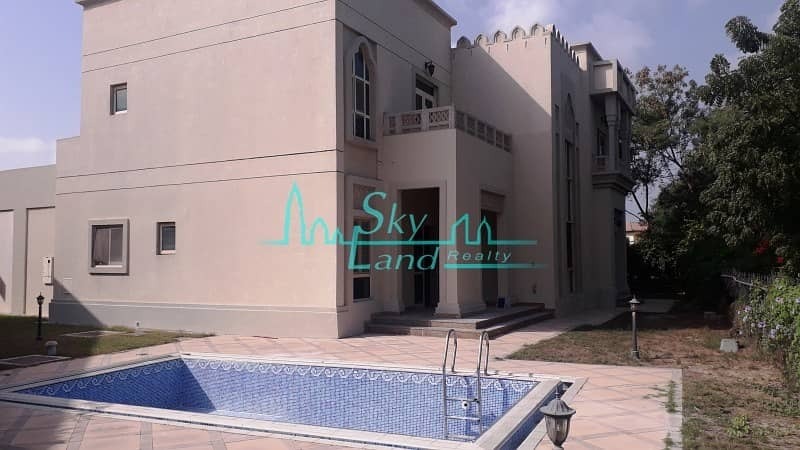 Sky Land Realty is pleased to offer this lovely 4 bedroom villa for rent in Jumeirah Islands. Currently vacant and ready for occupancy. The villa is set on a plot of approximately 10,000 Sq. Ft with a front and rear garden that is easily maintainable with a lovely private pool. All the landscaping and pool will be freshly prepared for the new occupants. The villa features 3 family rooms downstairs along with kitchen, guest bedroom, powder room, laundry room and maids room. The master bedroom features a spacious study area with a terrace over-looking the beautiful cluster. 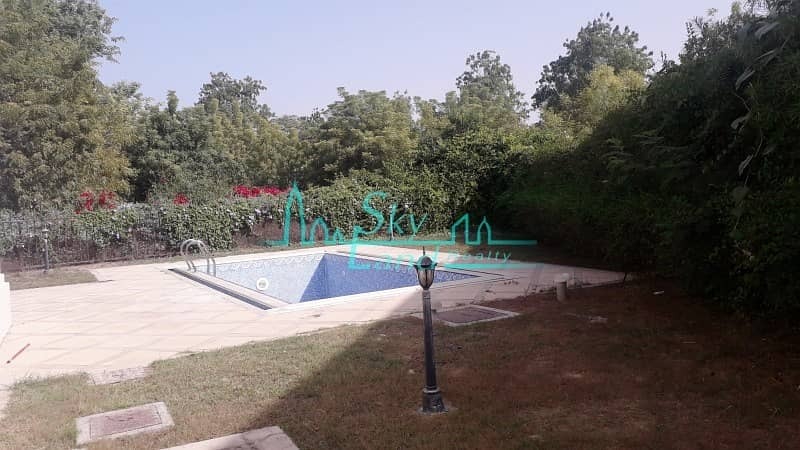 Inside the bedroom there are walk-in-wardrobes, an en-suite bathroom walk-in-shower with his and hers basins and another balcony over-looking the garden, pool and lush greenery of Jumeirah Islands. The other bedrooms have en-suite bathrooms, 1 with shower and 1 with bath tub. Both have built-in-wardrobes and lovely views of the garden and community.